Warm amber with tints of copper and orange. Nose of candied orange with nuances of citrus zests, orange and bergamot essences. Grand Marnier's special edition Cuvée Louis Alexandre was created in honor of the founder of the house Marnier Lapostolle, the producer of the world's famous Grand Marnier liqueur cognac. This liqueur is at 40% ABV alcohol (70 Proof in UK, 80 Proof in US). Louis-Alexandre is an exclusive blend of fine old cognacs from the region's best production areas with essence of wild exotic oranges. 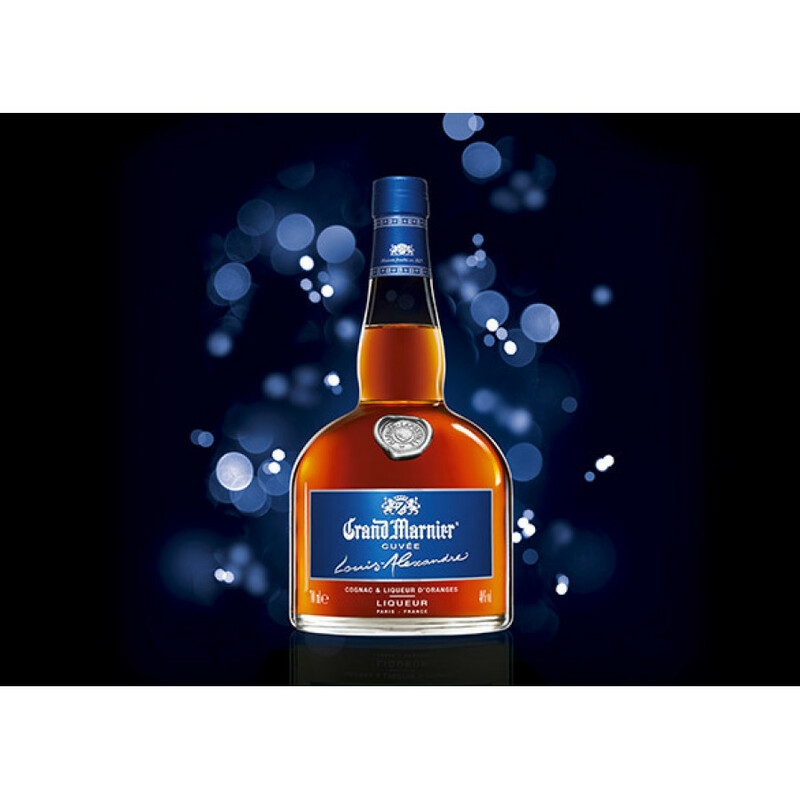 An intense and less sweet taste, for a contemporary experience of the warmth of GRAND MARNIER® liqueur. By far the smoothest Grand Mariner I've had the pleasure of tasting. We appreciate any kind of reviews. In order to make your review more useful to other users, I´m kindly asking you to give some further explanation on your high rating and why this cognac deserves it. Eye: Deep copper. Nose: Lively, fruity, floral, almond and vanilla. Palate: Mellow, fresh and complex notes of Cognac, nuts, fruits, burnt orange and citrus oil, and peach. Layered and a highly complex spirit. Tasting review: Style: Fruity and fresh. Nose: Lime, pineapple juice. Palate: Blackcurrant juice and a touch of menthol. Finish: Red berries.